On Saturday, May 6, 2017, Dr. Angela Y. Davis will deliver a talk in Winnipeg at Knox United Church titled Race, Resistance, and Revolution: Freedom is a Constant Struggle. She will be hosted by the Canadian Centre for Policy Alternatives Manitoba office, in partnership with Black Space Winnipeg and Queer People of Colour (QPOC) Winnipeg. While it is impossible to do justice to Dr. Davis’ contributions to politics, philosophy, and social movement organizing in a short summary, this CCPA Review highlights a few moments in her life and writing as examples of the span and scope of her work. Dr. Davis has always been both a scholar and an activist, and a model for what it looks like to tie those two forms of work together. Her experiences – as a Black woman who grew up in the south, as a member of the Communist party, the Black Freedom Movement, and the Student Nonviolent Coordinating Committee (SNCC), as a graduate student of Philosophy, and as a political prisoner, to name a few – have shaped her theorizing, which has always been oriented toward explaining the world in order to change it. During the 1960s, Davis studied philosophy in Europe and in the US with Herbert Marcuse, and she became increasingly involved in political organizing. From very early on in her life, she was an active member of Communist and Marxist Leninist organizations, including the Che-Lumumba Club, an all-Black organization within the Communist Party. Within the Los Angeles chapter of the Student Nonviolent Coordinating Committee (SNCC), Davis ran the “Liberation School” where she taught Marxism to community members outside a formal academic environment. In 1969, she held a teaching position at the University of California at Los Angeles (UCLA), where she was fired for being member of the Communist Party. In the early 1970s, Davis served over a year in prison for her role in a campaign in defense of two BPP members who had been held at Soledad prison since the late 1960s. After spending time on the FBI’s “Ten Most Wanted List,” she was later acquitted on all charges. Today, she is Professor Emerita in the History of Consciousness Department at the University of California Santa Cruz. 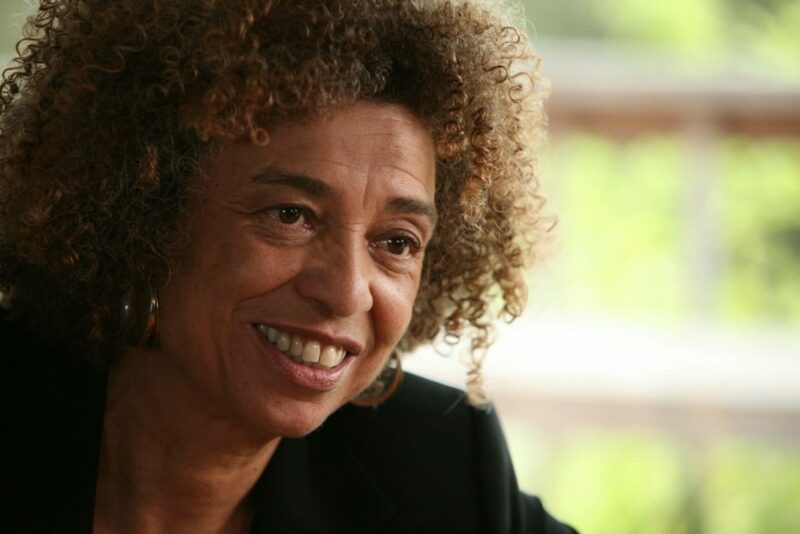 At each point of her involvement in various political struggles, Davis has offered critiques and insights that have challenged and advanced those movements. Davis engaged her peers in the Black power movement in critiques of the male chauvinism in some of their organizing, arguing that women’s oppression needed to be at the center of anti-racist, anti-capitalist organizing. In her pathbreaking book Women, Race, and Class (1983) she engaged her peers in the feminist movement in a critique of their failure to consider how the lives and struggles of Black women are different from those of white women. For example, while mainstream feminists organized around access to birth control and abortion, Black, Latina, and Native American women were dealing with an epidemic of coerced sterilization – a struggle white feminists did not embrace as part of the broader reproductive justice agenda. She challenged the feminist movement for being preoccupied with economic inequality, but failing to challenge capitalism itself. These critiques have been central to Davis’ work to make connections between different social struggles – illustrating how the oppressions of Black people, imprisoned people, the working class, and women are experienced differently, but must be understood as part of the same structural forces, and therefore must be resisted together. Davis consistently challenges narrow and exclusionary framing around social struggles in an effort to generate an ever-bigger solidarity, rooted in experiences of those at the margins. Davis’ work continues to inform the work of Critical Resistance, particularly when it comes to describing why prison reform is not an adequate solution to the racist violence produced by criminalization. In Are Prisons Obsolete?, Davis asks: “Why is it so hard to imagine a world without prisons?”. Despite the fact that prisons are relatively new institutions in the span of history, and they have never worked to make people safer, she observes that people are unable to imagine life without them. She suggests that prisons relieve society “of the responsibility of thinking about the real issues afflicting those communities from which prisoners are drawn in such disproportionate numbers” (p. 16). She outlines the project of abolition as a world-building project: a project of imagining and constructing a set of social systems and relations that do not rely on imprisonment as a response to social problems. Angela Davis’ most recent book, Freedom is a Constant Struggle: Ferguson, Palestine, and the Foundations of a Movement (2016) continues her work of making connections between capitalism, racism, sexism, imperialism, criminalization, and border violence. She highlights connections between the apartheid wall in the Occupied Territories, and the Mexican border wall; and the identical policing weapons and tactics used in Palestine and Ferguson, MO, reminding readers that as long as capitalism and imperialism are global, so too must our social movements be global. She reaffirms the importance of radical, collective organizing by reminding us of its role in changing the course of history in the past, and tracing linkages between past and present iterations of radical politics. She also reminds us of the importance of learning from social movements of the past in order to avoid making the same mistakes again. In this task – of learning from the past in order to chart a course for the future – the breadth and depth of Angela Davis’ scholarship and experience make her an incredibly valuable teacher. Bronwyn Dobchuk-Land, Assistant Professor, Department of Criminal Justice, University of Winnipeg and a CCPA-MB Research Associate. Davis, Angela Y. (1981) Women, Race, & Class. New York: Random House. Davis, Angela Y. (2003) Are Prisons Obsolete? New York: Seven Stories Press. Davis, Angela Y. (2016) Freedom is a Constant Struggle: Ferguson, Palestine, and the Foundations of a Movement. Chicago: Haymarket Books.